Tree trimming is an effective way of styling and designing landscapes in your garden as it adds an aesthetic appeal to your property. It also helps relieve plants of dead or infected branches or parts which may greatly contribute to the deteriorating health of the plant itself. Tree trimming is not a very well-known topic, which is why I feel the need to address the importance of such skills and services as tree trimming. With this article, I hope to encapsulate all sorts of problems and techniques involved in tree trimming which include, but are not limited to, how to effectively cut away small branches and twigs, how to maintain a symmetric shape, how to keep the length of an array of shrubs and bushes even, and much more. For gardeners especially, and even for landscaping professionals, this article should add to your existing knowledge and greatly help your needs. What essentials do I need before I start? Pruning shears are an integral part of your gear and should always be a priority when it comes to trimming trees. They have been designed to effectively cut through small twigs and branches that have gone bad due to an infection or they have simply become dead. I would personally recommend anyone gardening to always have a pair of pruning shears on hand. Not only do they assist in selective trimming of defected parts of the plants, they are also effective in giving a new design or look to hedges or trees. Branches of up to ¾ inches in diameter can be efficiently cut with this tool. Lopping shears address the same kind of needs as pruning shears except for the fact that they have longer arms providing greater strength and grip to your hands while using them. They are able to efficiently cut over 1.5-inch branches and twigs which help you when pruning shears fail. I would not recommend just anyone to buy a pair of lopping shears because there are usually only used when a pair of pruning shears becomes unusable or unreliable. However, it is still a good practice to have them on you. These saws generally have handles on both sides, other variations have a handle on only one side. They are only used for trimming. It is important to note here that there are some extreme pros and cons of this tool. 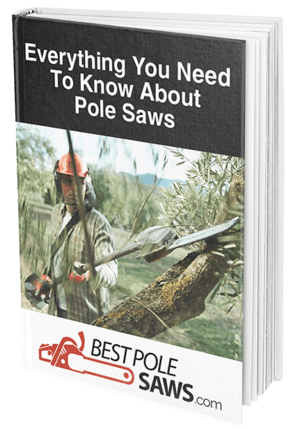 Pole saws are able to cut large branches and twigs efficiently without the need of any other person. The pole saws, however, do not produce a clean result and can prove to be difficult to work with, so I would only recommend to use them for jobs which are much too difficult to do with a pair of shears. Electric chainsaws are a lifesaver when you have to cut through harder or denser wood which cannot be done with the previously suggested tools. They are especially useful when the manner of cutting or the aestheticism of the end-result does not play a great role. The electric chainsaws provide power and remove any sort of complexity that might arise due to harder or denser wood. I would definitely recommend you to have one of these powerful machines when you go out to trim trees as they can prove to be one of the best tools to accomplish the task. Now that I have my tools prepared, how do I start? A word of advice: Always be prepared before you start, never leave the process midway and get distracted by other work. Remember that this is delicate work which requires precision as well as time for it to work out the way you want it to, so just make sure you are in a familiar space and have a lot of time on your hands with nothing else to distract you. It is always good practice to plan out your activities and your aims beforehand. Before you start any of the other projects and before we get into the details, it is important to know the benefits of planning your work out. The prior planning helps you to prevent any kind of mishap that may arise due to lack of preparation. Decide which parts you have to cut and how much you wish to cut them. Also decide whether you need to trim the trees simply or would also like to add a design. Planning out how you will cut the branches and twigs will also largely affect the way those tree branches will grow back. The trees must be thoroughly assessed first for any signs of weakness or damage and you must be able to identify the proper structure of the tree which you are about to trim. This will greatly help you in modifying the tree as needed and it will reinforce the aims for cutting the tree as you will have a visualization of the cut tree. It is generally a good practice to always cut the parts of the tree which have gone bad, damaged, infected or have died. This removal of useless dead parts helps to prevent further deterioration of the plant itself. It also promotes growth in the plant as all the parts will then be healthy and strong after the pruning process. Use the pruning shears to gently cut off the parts of the plant which have been rendered useless. Make sure to always cut in a specific way so as to not destroy the natural beauty of the shape and symmetry of the tree. Always aim for the branches and twigs from the bottom side so it looks like they never existed in the first place. Using saws or electric chainsaws, make sure to cut out branches which hinder the pathway or walkway of you or other people. These branches are usually lower on trunk and can easily be cut away to make room for people to walk by. If you wish to prune your trees into a specific shape or pattern, using lopping shears is advisable. They help to trim the branches which protrude out of the tree and make the tree look uneven or unclean. This helps give a prominent shape to your trees and makes them look neat and even. Often times, it is desirable to have them cut into a circular or rectangular shape, this can only be achieved if the above-mentioned steps are taken into practice. Using lopping or hedge shears, chop down branches in a particular area where branches may seem to be abundant and thick. This will also help even out the trees and make them look neat and clean. The thicker areas also have a chance of developing infections and may harbor some dangerous birds’ nests on them as well, which are of course, undesirable. Plants and trees naturally need more air to breathe properly and function well enough, so in those cases, thicker areas of branches hinder air flow and hence, hinder the growth of the tree as well. It is then, of course much more advisable to cut down these thicker areas in order to promote air flow and sunlight which will make the tree healthy as compared to how it was before. Well, that is a brief overview of all that there is to know about when it comes to trimming trees. I really hope I was able to engage your interest and add to your already existing pool of knowledge by adding some more tips and tricks to making your gardening or landscaping experience worthwhile. This topic was particularly a topic that needed more attention as there has not been a lot of literature on the subject. As the reader, it is important to be able to trim trees according to your ideas and wishes to promote the real beauty of your property.